A reassuring passage from scripture is set to gently contemporary music in this choral offering. Marking the theme with positive energy; approachable syncopations will build choral confidence. The assurance found in the book of Zephaniah is encouragement for the soul: God takes great delight in His children and rejoices over us! 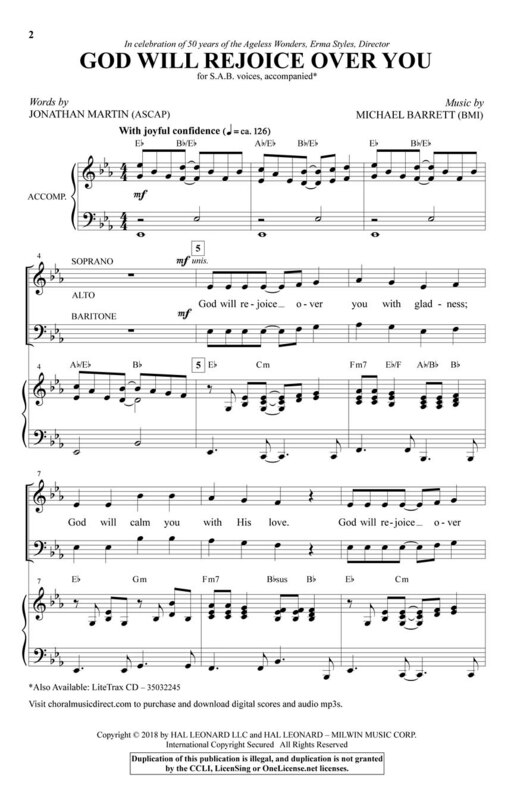 Though written for SAB voices; there is full impact in the harmonic treatment of the vocals; bringing a shimmering gospel aesthetic to the piece. 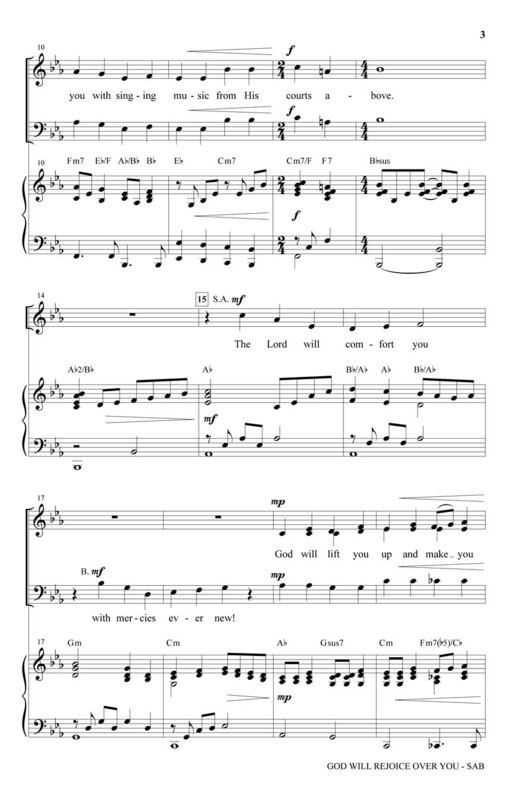 Brief in length but lasting in impact; this anthem is a one-rehearsal wonder!